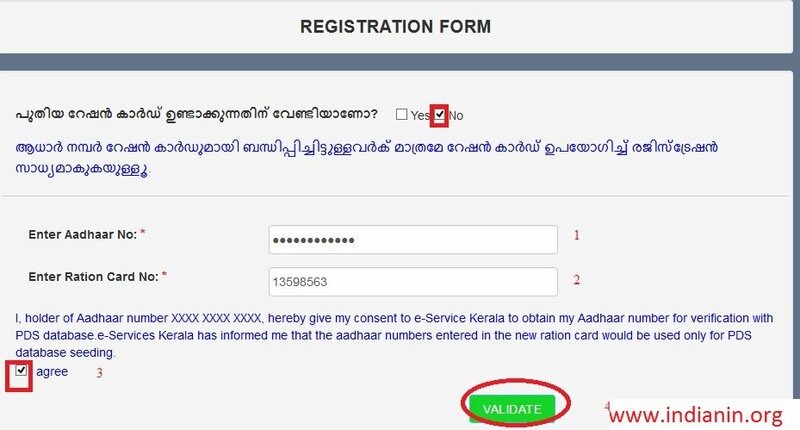 ** If you have a ration card, register into the website by entering the barcode number, which is on the last page of your ration card. ** If you don’t have a ration card, choose No. ** An activation link will be displayed. Click on the ‘Activate Account’ button to activate the account. ** Login to the website using the user ID and password that you have entered in the registration form. ** E-Services for Ration Card Management System was launched on 18th July 2018 in two taluks and enhanced throughout the State on 4th August 2018. 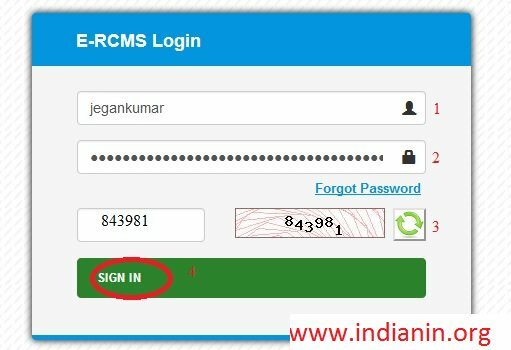 ** Ration Card holders and residents will be able to register and log into the e-Citizen service portal and avail the services. 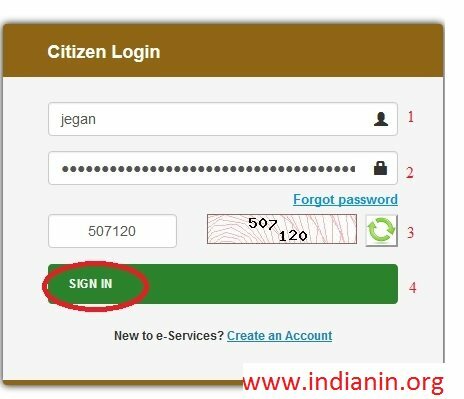 Go to the Official website,click on the citizen login tan home page.next page will be opened,click on the citizen login button. If you don have an Login ID create a account button,enter the follwoing details to fill the new registration form. Step 4 : Click on Validate button. Step 8 : Click on Submit button. ** Click on the required function. ** Click on the ‘New Application’ link. ** Fill up the form with correct data. ** Upload all mandatory scanned documents only in pdf format with size less than 250 KB in the application. 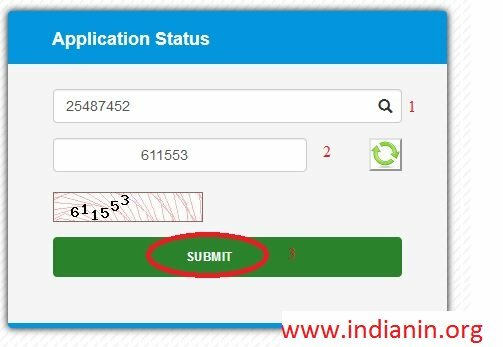 ** Before submitting the form, verify all the data. ** Take a printout of the application form, which you have submitted, for further proceedings. Note the application number and date. ** You can submit the original documents, application printout and the application fees including the cost of the ration card when you come to the TSO. ** The following information will be displayed once your application has been submitted successfully. 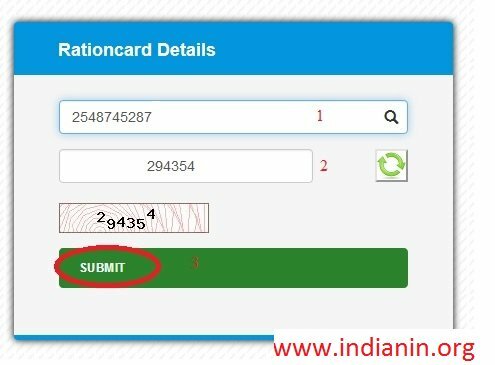 If you have a ration card, register into the website by entering the barcode number, which is on the last page of your ration card. ** Login to the website using the userid and password that you have entered in the registration form. ** If you have a ration card, thirteen functions will be displayed. ** This is a scheme formulated by Government as per the provisions of Kerala Ration Dealers Welfare Fund Act, 1988 for implementing welfare measures for the Ration Dealers . ** Members who have completed 62 years of age with minimum period of 10 years service are entitled to pension as soon as they cease to be dealers . The amount of pension is Rs 1500/- per month W.E.F 01/06/2016. The pension amount is disbursed quarterly by way of Money Order at their expense on the fifth working day of every succeeding quarter. At present there are 1085 pensioners. (i) In the event of death of a member before attaining the age of 70, the legal heirs/nominees are paid a lump sum amount ranging from Rs.10000/- to Rs 40000/- based on the number of completed years of membership. (ii) In the event of death of a member after completing the age of 70 or due to cessation of membership, the legal heirs / nominees / members are paid a lumpsum amount ranging from Rs.620/- to Rs.40000/- based on the number of completed years of membership. ** A member who sustains injury, physical disability or grievous hurt in an accident is given financial assistance upto Rs.5000/-. Medical assistance upto Rs.25000/- is also sanctioned to the members or their family members for transplantation of kidney, cardiac surgery, limb fitting or for treatment of fatal diseases like cancer. ** Three students (children of the members) each who secure highest marks in SSLC and Higher Secondary examinations are paid scholarship @ Rs.5000/-. ** Interest free loans are given to the members who have completed five years of membership and have a minimum deposit of Rs.2500/- at their credit. ** SMS alerts facility launched by Civil Supplies Department is for enabling citizens to receive SMS alerts on information about commodities lifted by wholesale and retail dealers. ** Users can subscribe for SMS alerts using the registration form. ** They can select the wholesale or retail dealers for which they require the information. ** SMS alerts will be sent to registered users as soon as the lifted quantities are entered into the web-enabled system. How To View Rank Report Online? Step-6 : Submit the Generate Report button. Apply to the concerned TSO / CRO (City Rationing Office). New temporary Ration Card will be issued within 7 days. The Civil Supplies Department discharges the important responsibilities of Public Distribution enforcement of markets discipline and promotion of consumer awareness and protection of their interests. The Public Distribution System came into existence in the state with effect from 01/07/1965. The state which has very high deficit in the production of food grains, the PDS has great relevance and importance. Keeping in view the importance and need of promotion of consumer awareness and protection of human rights, Government have formed a separate wing in the food, Civil supplies and Consumer Affairs Department in the secretariat to attend the subject, Consumer Affairs.